Motivational Interviewing is one of the most frequently mentioned techniques in the behavioral health world, but it is deceptively complicated. It is straightforward in concept, but can be challenging to practice correctly. 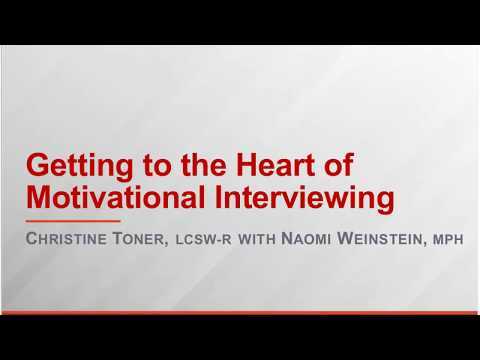 Developing the skills for Motivational interviewing takes practice, supervision, and understanding that building motivation with a client comes in many forms. In this webinar, Naomi Weinstein facilitates a conversation with Christine Toner, to help participants learn about what MI is, and what it isn't. In this dialogue, participants hear examples of MI from the mental health, addiction, and physical health worlds and also learn to avoid traps that even experienced MI practitioners fall into.